Chennai: Six days after the death of M. Karunanidhi, his elder son and former Union Minister M.K. Alagiri on Monday asserted that "true loyalists" of his late father were with him and that his brother M.K. Stalin was a poor leader.Paying homage to Karunanidhi at his memorial at the Marina Beach here, Alagiri, who was expelled from the DMK in 2014 for criticizing party leaders, told reporters that he had poured his anguish about the party to his father. 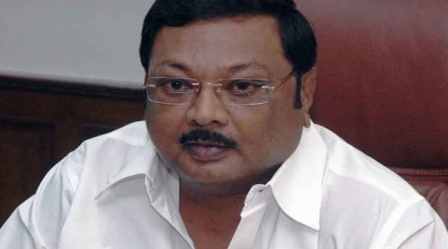 Alagiri declined to comment about the DMK's Executive Committee meeting to be held here on Tuesday, stating that he was no more in the party. Alagiri aspired to succeed to the DMK's top post but Karunanidhi, the DMK President until his death, picked his other son Stalin to lead the party and designated him the Working President.Once considered a strongman from Madurai, Alagiri told CNN News18 that he was the right person to head the DMK and alleged that Stalin was the "Working President" of the party but was not working. Alagiri added that he was not happy with the way the party was being run. On being asked if there would be a split in the DMK, Alagiri replied how could he split the party when he was not in it in the first place. Asked if he would do better than Stalin if given an opportunity, Alagiri told CNN: "Definitely, that is what the cadres also want."